Programs – Move Along, Inc.
Our family recreational cycling is a fun activity for the whole family. This program is for individuals with or without physical disabilities who want to enjoy riding a bike again with family and friends. Click here to learn more about our cycling program. Move Along‚ Recreational Wheelchair Basketball team offers its participants an opportunity to have fun while keeping fit. Wheelchair basketball is a fun and energetic game that fosters peer mentoring. Each year our team plays other NY state teams at the State Fair in front of the Coliseum and many of its participants act as a peer mentor for our youth rebound program. Click here to learn more. Our Rebound Youth Program enables young athletes to play the game of wheelchair basketball while improving their motor skills and physical well being. This program offers a non-competitive atmosphere which fosters teamwork and friendship building skills. This is an inclusive program so your friends are welcome to join you to learn some new skills & have some fun together! Click here to learn more. 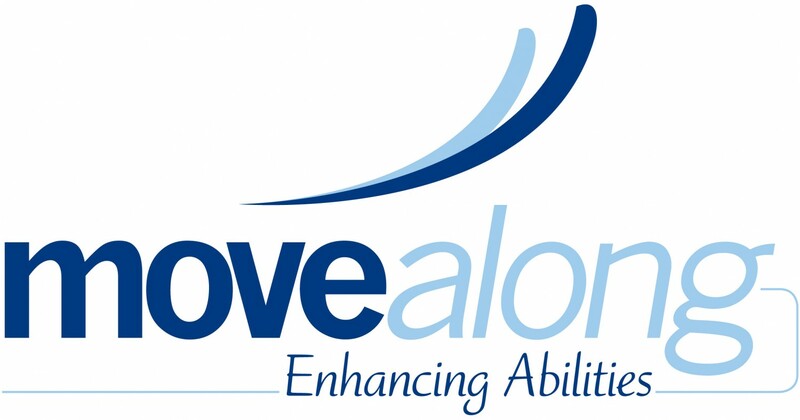 Move Along’s newest program, Wheelchair Tennis offers participants an opportunity to have some fun while learning wheelchair tennis. Our coaches that will help all participants learn the game of tennis while having fun. This program runs outdoors in the summer months at Liverpool High School and in the winter months indoors at Manlius YMCA. Want to learn more Click here to learn more. Our family Recreational Swim night is a fun activity for the whole family. This program is for individuals with physical disabilities who want to enjoy being in the water with family and friends. Family Swim is open to individuals who are just getting reacquainted with pool based activities as well as avid swimmers. Click here for more information. Kayaking & Padding: Is it the sense of challenge and discovery; the beauty of the land, water, and wildlife around your boat; the energy and renewal after a great paddle; or the bond between paddlers? For paddlers with disabilities, it is all of those reasons plus it is freedom. Adapted paddling opens the door to paddling to all, including people who have disabilities. Click here for more information. Sled Hockey is very similar to ice hockey with the exception of equipment. Participants use specially designed sled which sit atop two ice hockey skate blades. Each player has to short hockey sticks with metal picks on the end which is used to propel him/her across the ice. Click here for more information. You don’t have to be able-bodied to play, and you don’t have to have a disability to play accessible sports! Come to experience the newest sports in town! Click here to learn more about the variety of demonstrations!